In november 2017, we had an opportunity to visit a friend of ours who lives and works in Western Australia, to be more precise, in the region of Margaret River. 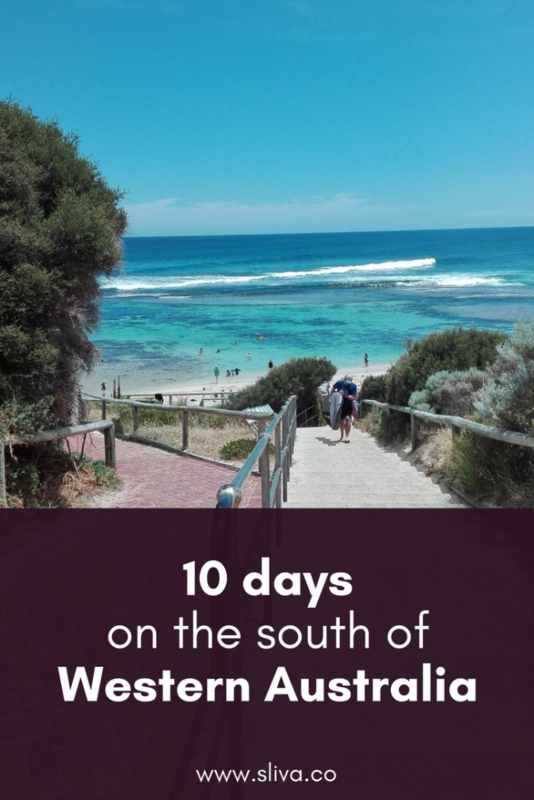 If you are a wine lover or a surfer, you probably heard of Margaret River in the past: the region is home to some of the Australia’s best known wineries, and south of Perth is packed with vineyards and wineries. At the same time, there is a surfing world tour competition in the region, and some of the really good surfing spots there for all wave conditions. 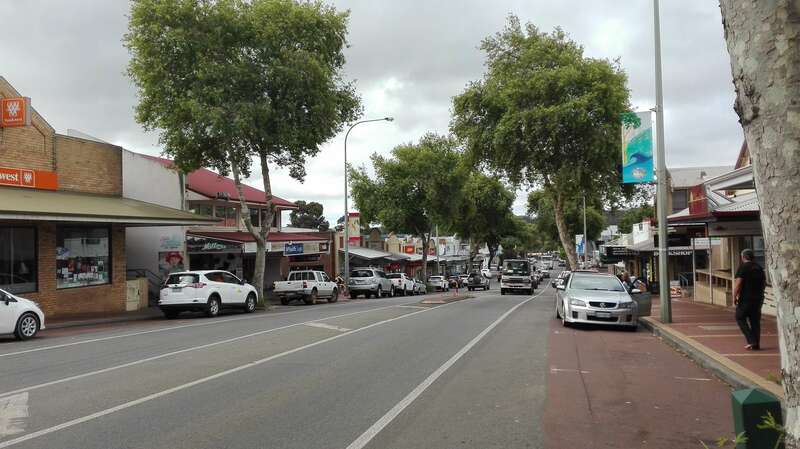 Main street at Margaret River. November, being the end of spring/beginning of summer in Australia was a perfect time to do some camping and exploration of the area. During the week, you may end up there with 2 or 3 other people in the whole beach, and it feels like paradise. It’s one of the best beaches we ever visited, when not crowded. 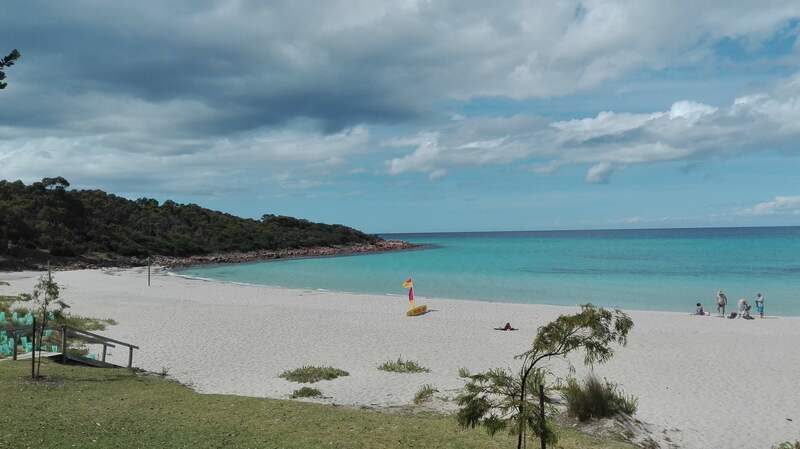 Meelup Beach, definitely our favorite beach for swimming. Catch the sunset from Prevelly surfing beach parking. 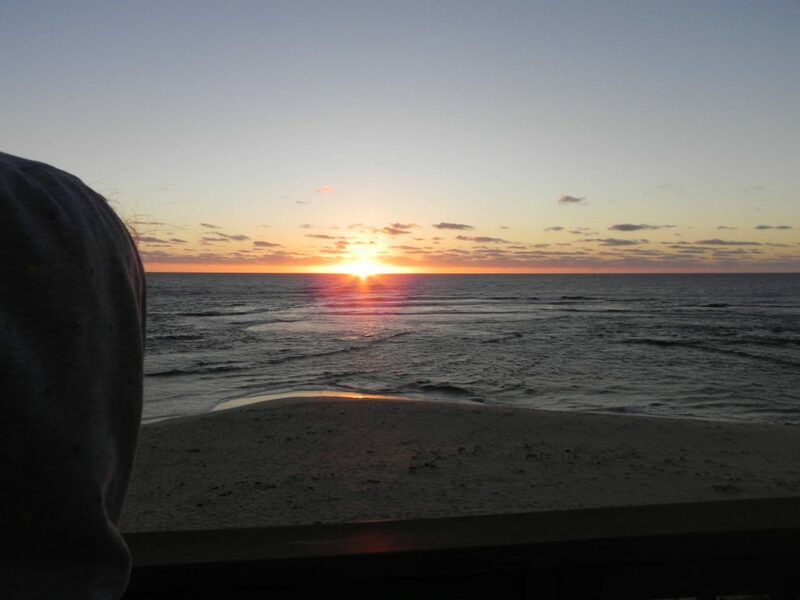 It’s a great spot to watch sunsets. Watching the sunset from Prevelly beach parking. There is plenty of surf spots on the whole coast. They are least crowded (both in terms of sharks and people :)) during the weekdays during the day. You may literally find yourself a great wave with 1 or 2 other people in the water. 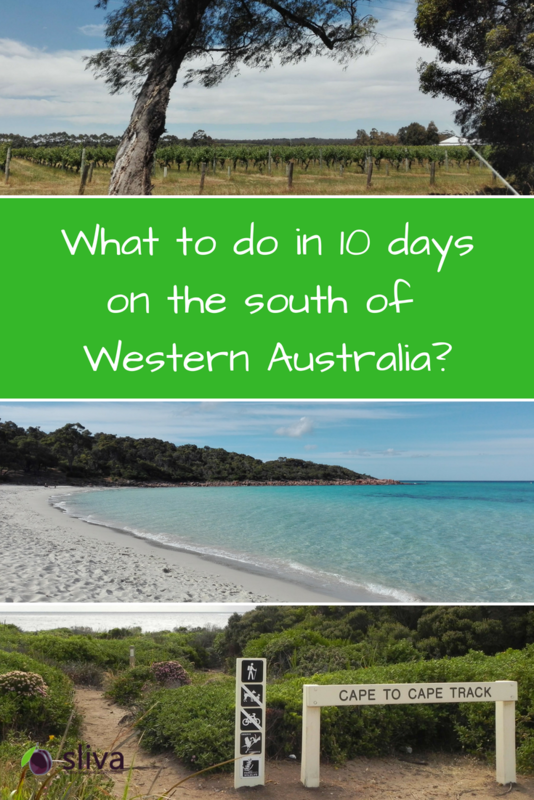 Some of the eaches are accessible only with 4WD, check our tips and tricks for camp travel to Western Australia. If you didn’t surf during a visit to Australia, you didn’t experience Australia to the fullest. There is a nice lighthouse, and soms very nice surf beaches on the west side, while on the east side you will find Meelup and other beaches. Visit the southern cape, eat in the picnic area of the town of Augusta, and swim or surf in the amazingly beautiful beaches of Leeuwin. 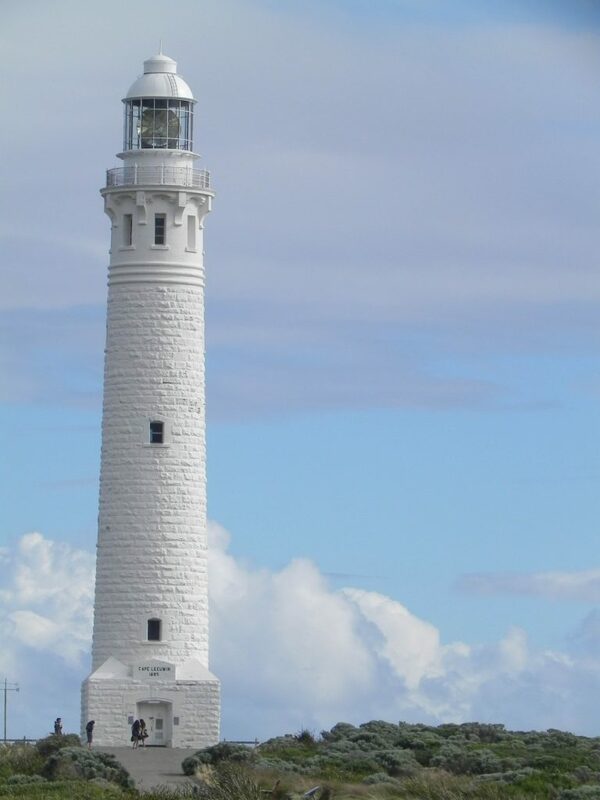 When on the south of Western Australia you must visit Cape Leeuwin Lighthouse near Augusta. Taste a range of reds and whites produced in the region. The bottles are quite expensive, though, but tasting as such is free and while doing so, you will talk with the winery people and learn about how they approach winemaking. READ MORE: Why you should have a power bank, and what kind to buy? 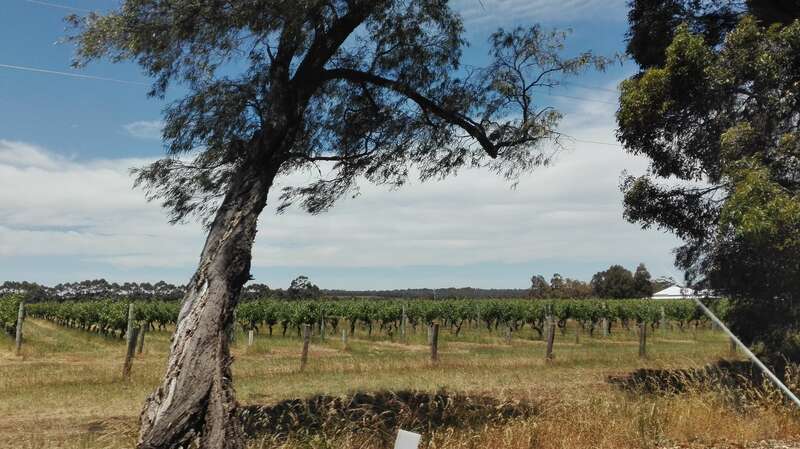 When driving around Margaret River Region you will notice plenty of vineyards and wineries offering delicious Australian wines. There are many natural underground caves in the region, open for a visit. Visits are not free, but offer a great experience of the places some of which were used by Aboriginal people for different activities in the past. 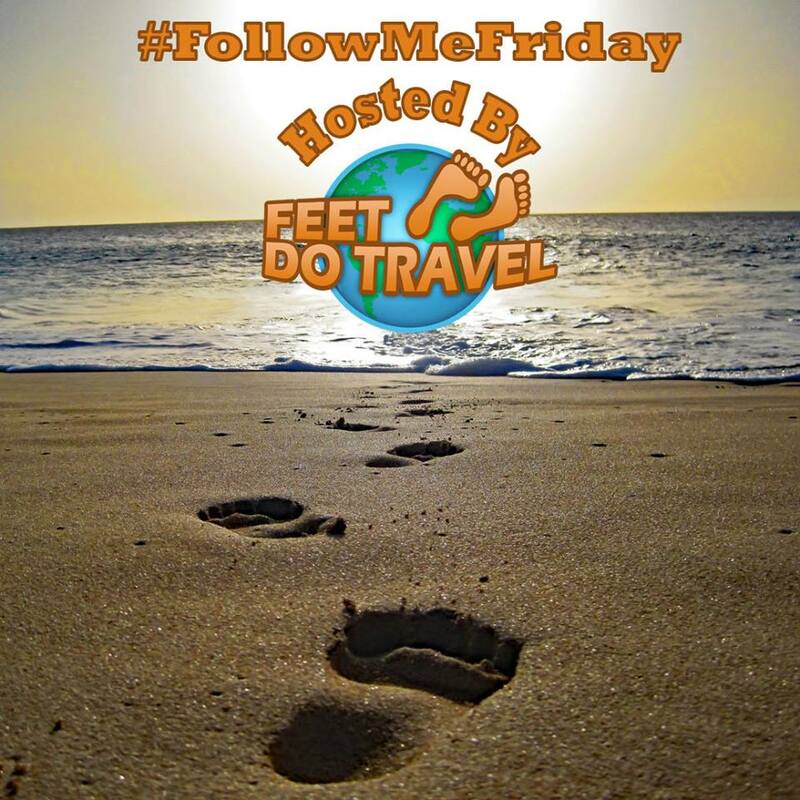 There are many marked little tracks you can find by the beach, and a multi-day trek from cape to cape, which goes by the beach, through the forest, and visits many beautiful places. You may camp in the wilderness between the days. Be aware of the Australian wildlife, which includes venomous snakes and spiders, though. 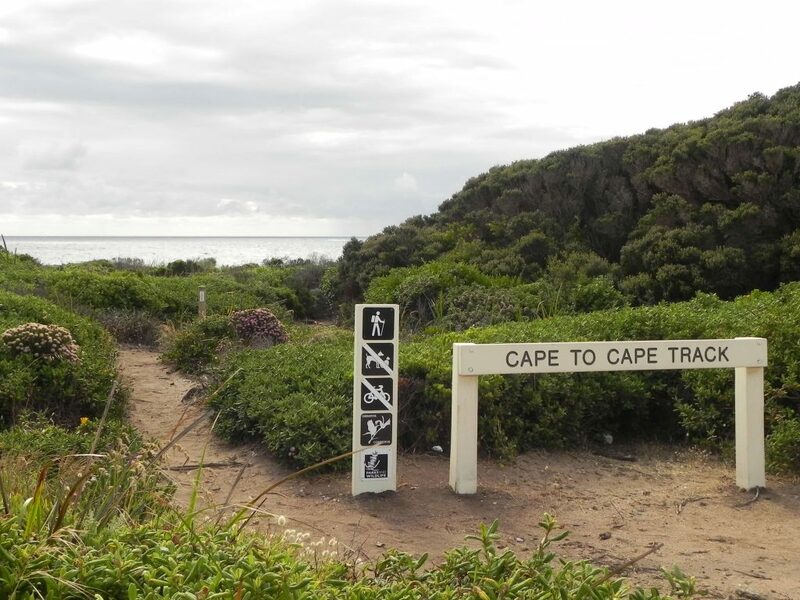 The Cape to Cape Walk Track is a long-distance walk trail (123 km) which start and finish at the lighthouses, at the tips of Cape Naturaliste and Cape Leeuwin. 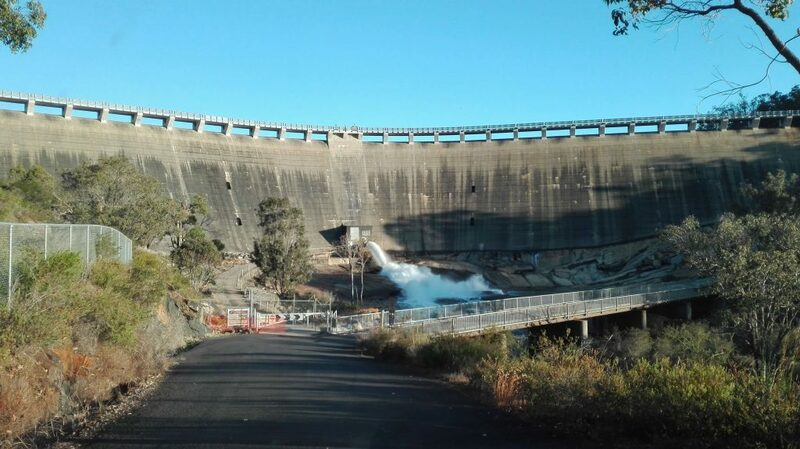 Visit the dam at Collie, and maybe even camp nearby. If you like dams and lakes, you will not be disappointed. Plenty of walks in the area. Wellington Dam at Collie, with an impressive history dating back in the early 1900s. Karri forest is a forrest of huge eucalyotus trees. It is magnificent and made us breathless. 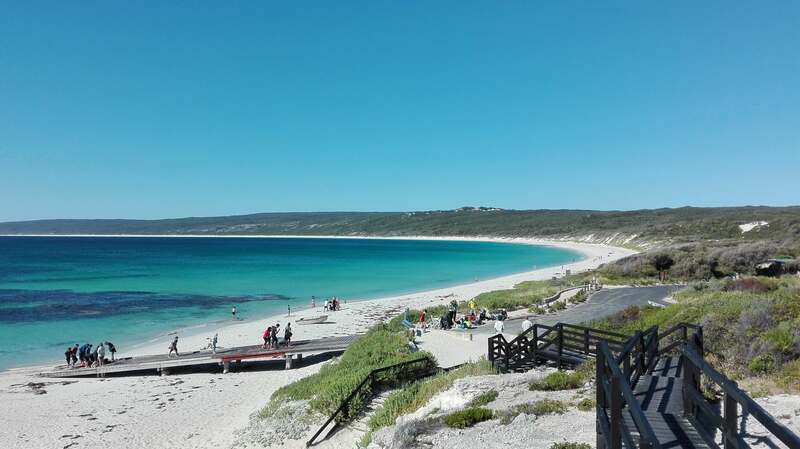 View of the beautiful Hamelin Bay. It’s nice for swimming, nice for surfing, and always busy. They even have picnic area above the beach. 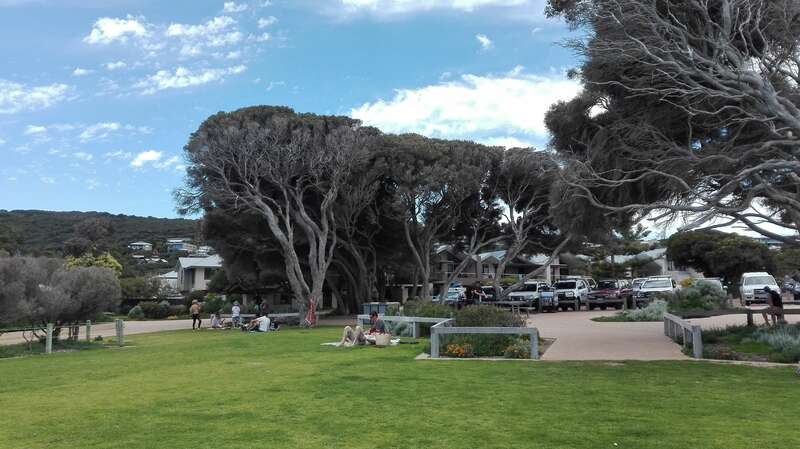 Yallingup parking and picnic area above the beach. 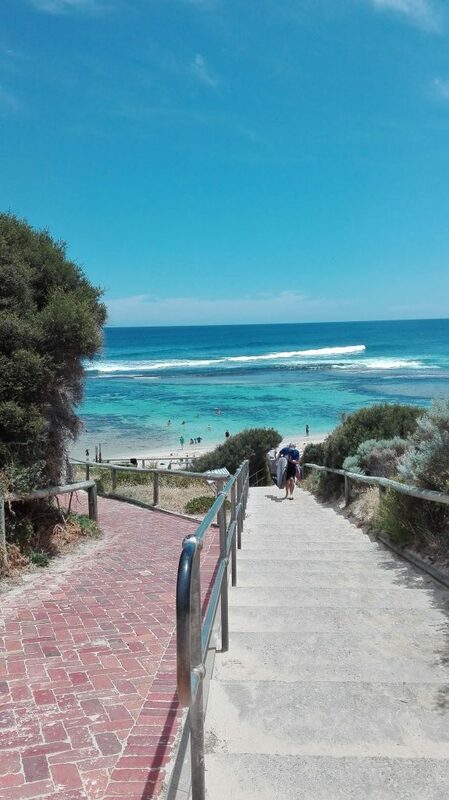 Down the stares of Yallingup picnic area, you will get on the beautiful beach. 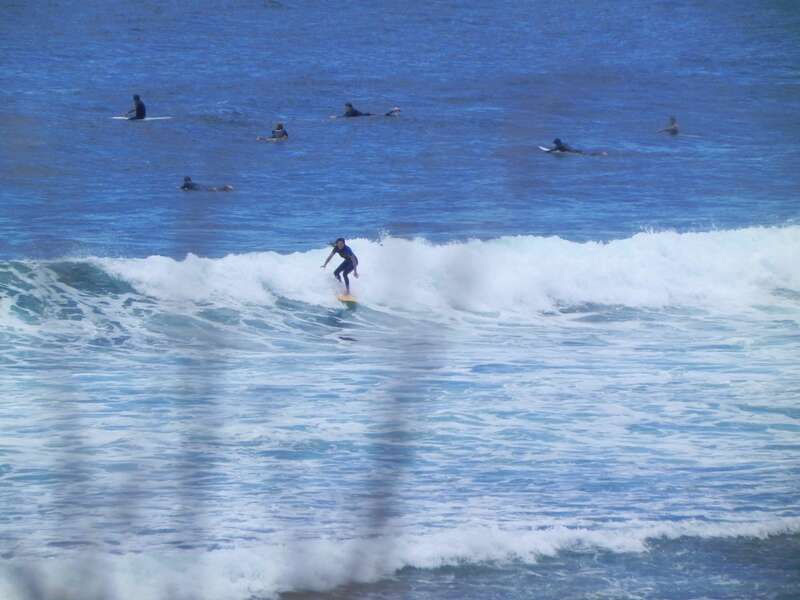 At the time of our visit to Yallingup, there was a local surfing championship. Hope this gives you some ideas; please, feel free to add more ideas in comments below. I haven´t been to Australia yet! So many awesome places on the south of western part! The Meelup Beach with 3 people definitely looks like a paradise! I like everything in this post from the beautiful blue waters to the lighthouse! I would enjoy this trip very much! I never made it to WA when I visited Oz, but when I return, this is the area I will go back to. There is so much to see and do, watching the sunset and checking out the beaches would definitely be high on the agenda. Thanks for sharing, pinned. Thanks Auntie! 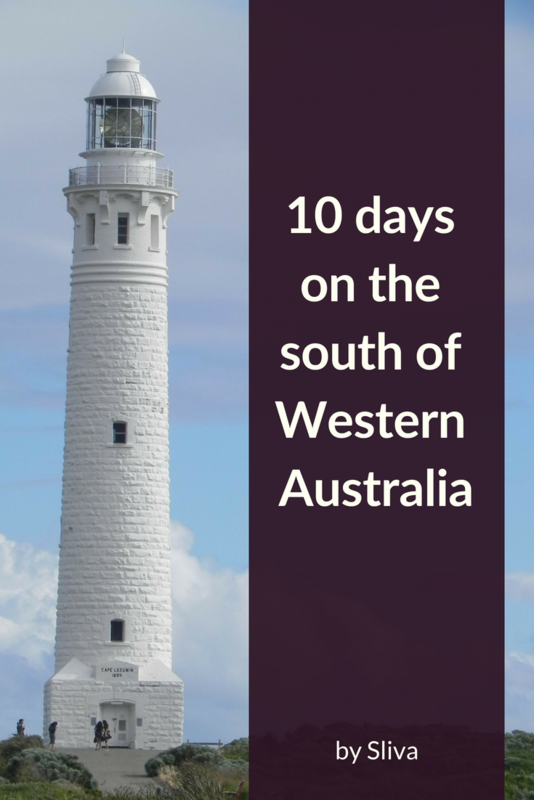 There’s really a lot to see and do in Western Australia. The southern cape looks amazing. Ooooh, those beaches! The lighthouse would fascinate me! And the bay water is such a lovely color. I would never get bored in this area of Australia!